Design and development of a single seat battery electric vehicle. Collaboration between the University of Waikato and the Waikato Institute of Technology is enabling technology sharing on a level never before seen. 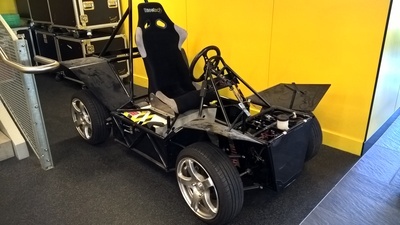 The Construction of a battery powered electric vehicle achieved over several years by a team of undergraduate and graduate students at the University. The project is now at a stage where it is in need of design and production of a complete outer body shell. In conjunction with this it has been identified that there is need of newly developed components to reduce if not eliminate the rolling resistance caused from the use of conventional vehicle parts. This work is the initial platform for the achievement of a road legal electric vehicle suitable for promotional work and student engagement within the Waikato region.